(Monrovia- February 12, 2018)- The Press Union of Liberia has hailed as an early show of democratic values and leadership, President George M. Weah’s withdrawal of his first choice for Justice Minister. According to a PUL release, President Weah action demonstrates the beginning of an end to political posturing on Capitol Hill which has badly influence governance in the last twelve years. This early action represents guts and tenacity required of a President to end impunity, institute new standards in public service and enforce respect for existing laws, the Union stresses. The PUL asserts that the President’s firmness on the withdrawal will guard him against the vices espoused in the tale “The Emperor New Clothes”, which explains the lowest point of a Self- acclaimed leader who ignored the views of all on the designing of his special garment for a public occasion. President George M. Weah withdrew the nomination of Cllr. Charles Gibson as Justice Minister after public outcry to reverse his nominee became popular. Cllr. Gibson was banned for ethical violation in the line of his private lawyering by the Supreme Court. The Union is urging President Weah to respectfully withdraw all nominees who are being challenged on cogent violation of professional ethical standards. Meanwhile, the Press Union of Liberia is calling on President George M. Weah to prioritize the prosecution of those who bear greater responsibility for the slaughtering of over two hundred and fifty thousand people during Liberia’s Civil Wars. Justice for victims of the civil wars must be realized during the regime of a true icon of peace who is believed to have had no connection to the civil upheaval that ravaged Liberia for more than a decade, the Union insists. The PUL says no sooner than now is right to bury the injustices of the past and charter a new national course which will be rooted in human dignity and the right to life. The prosecution of the command structures and foot soldiers of the civil wars will deter any incubation of violence against the wishes of the ordinary Liberian People, the Press Union underscores. 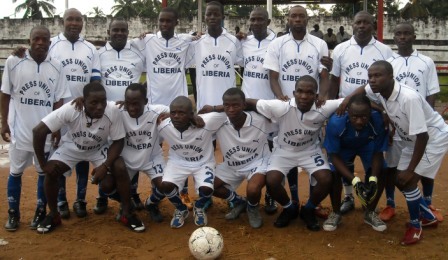 Moreover, the PUL has praised as groundbreaking the ongoing prosecutions of rebel fighters and leaders of the Liberian Wars in Europe and the United States. The Union has vowed to build synergies with local and international right groups to push for the prosecutions of those who led, managed and executed the brutal Liberian Civil Wars.